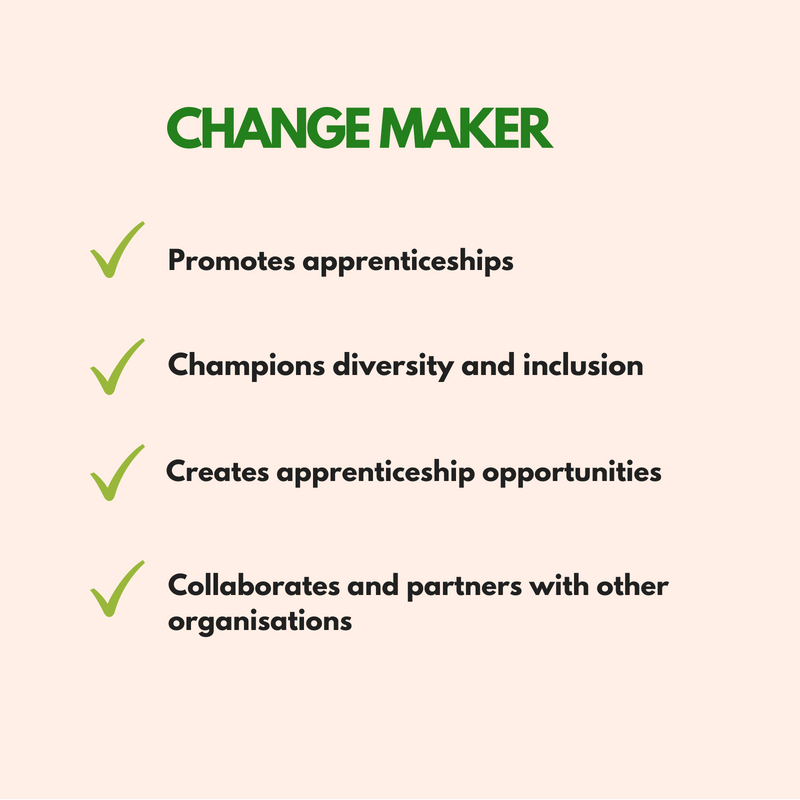 We believe that every organisation has a role to play in promoting apprenticeship diversity. The biggest challenge is finding the right platform which can allow all types organisations to speak from the same level. There are no costs attached to becoming a Change Maker. Simply complete the form below and you’ll be a Change Maker within 24 hours. By submitting this form you agree to the terms and conditions and declare that all data are accurate and true. I hereby consent for the data supplied to be used for purposes of the BAME Apprenticeship Alliance solely, be passed onto partners or other members where necessary and be kept with the BAME Apprenticeship Alliance for a length of three years.